• It’s already out at digital retail here in Australia, but former Pussycat Doll Nicole Scherzinger has seen her brand new solo single ‘Poison’ officially serviced to Australian radio this week. 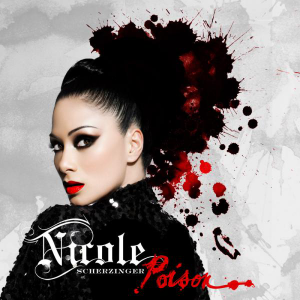 • ‘Poison’ was one of a number of uptempo pop/dance numbers that Universal sampled this week, including the new Axwell single ‘Nothing But Love’, the new tune from Chris Willis called ‘Louder’ and a re-service of the Martin Solveig/Dragonette track ‘Hello’. • EMI sampled the new Snoop Dogg single ‘New Year’s Eve’, while they also popped out the new David Guetta single with Rihanna called ‘Who’s That Chick’, a track that’s destined to be a big club/chart hit over the summer months. • Warner had a new single from Canadian siblings Tegan & Sara called ‘Northshore’, along with a new single from Marina & The Diamonds (‘Shampain’). • Queens Of The Stone Age frontman Joshua Homme has revived his record label Rekords Rekords and local record company Liberation have announced an exclusive deal which will see them release Rekords Rekords music in Australia, including the new Queens Of The Stone Age album, due next year. • On the UK singles chart this week, the boys from JLS have done it again – coming in at No.1 with their latest single ‘Love You More’. It’s the band’s fourth UK No.1 single and it managed to hold off Take That’s ‘The Flood’, which remained in second place. Ellie Goulding’s version of the Elton John classic ‘Your Song’ rockets into the top five at No.3, Far East Movement bullet into the top ten at No.6 and Westlife debuts at No.10 with their latest ditty called ‘Safe’. • And over on the UK album chart, Rihanna may have kept Take That off the No.1 singles spot this week, but she couldn’t repeat the success over on the albums side of the draw, with Take That’s new album debuting at No.1 with record breaking sales. ‘Progress’ is the fastest selling album this century in the UK after selling over half a million copies in its first week on sale. Rihanna at No.2, Andre Rieu in at No.4 and Pink in at No.5 with her best-of. Bruce Springsteen’s ‘The Promise’ was also new – at No.7. You’re correct – the track’s only been available as part of the ‘Annual’ at this stage ahead of its proper digital release this Friday. Has ‘Hello’ even been released as a single on iTunes, or is it still only available as part of a compilation? If it is available, I can’t find it … ?! Same as the reason they re-serviced Alex Gaudino’s track a couple of weeks back – it wasn’t really picked by the major commercial stations, so they’re merely highlighting the track again. Excuse me, but why did Universal re service hello?